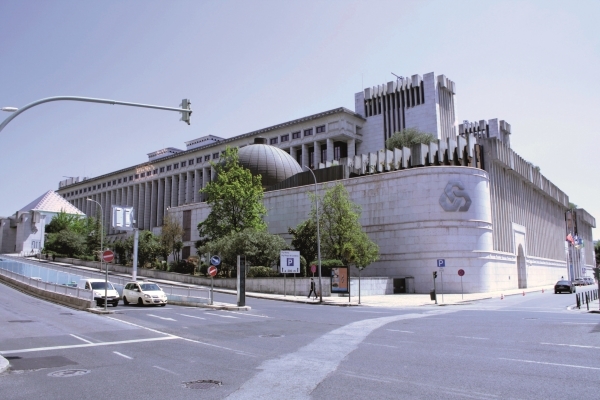 Caixa Geral de Depósitos (CGD) successfully completed a recapitalisation plan embarked upon last year with the execution of a EUR500m 10 year non-call five Tier 2 deal on 21 June, overcoming volatile markets to price its landmark issue with a modest new issue premium. The subordinated issue comes after the Portuguese bank issued a EUR500m 10.75% perpetual non-call five AT1 in March 2017 as the second step in the recapitalisation plan, following a capital increase from the state at the start of that year. After a three-day roadshow, CGD and its leads held a go/no-go call at 10.00 CET on Thursday, 21 July, with the market having been in risk-off mode against a backdrop of heightened trade war fears. On the back of a quiet open, it was decided to proceed with the EUR500m no-grow 10 year non-call five Tier 2 transaction, which was launched with initial price talk of the high 5% area. EUR750m. The pricing was ultimately set at 5.75% and the book was closed in the afternoon at around EUR800m, comprising over 90 accounts. “A level of 5.75% and such a quality book were definitely an excellent result for Caixa Geral and its long-awaited return in Tier 2 benchmark format,” said Vincent Hoarau, head of FIG syndicate at joint bookrunner Crédit Agricole CIB. He put the new issue premium at around 37.5bp, which he noted was at the lower end of premiums being paid on contemporaneous hybrid trades from the bank, insurance and corporate sectors. The new issue premium calculation was based on the deal pricing equivalent to 550bp over mid-swaps and fair value around 513bp, taking into account BCP Tier 2 trading at 555bp over or 563bp adjusting for the curve, and CGD trading 50bp inside BCP. Hoarau acknowledged that the ongoing market backdrop and intra-day volatility had discouraged some investors from participating in peripheral debt or placing as large orders as they might otherwise have done, but said that the level of demand was a testament to the very good work done by CGD on the roadshow and its credit story. “The long-awaited announcement of the offering was met with an immediate, widespread interest from around 80 investors to participate in a roadshow that took place in Lisbon, Paris and London,” he said. “This roadshow gave CGD the opportunity to exhibit the progress on its Strategic Plan 2020, namely in key areas of profitability, efficiency and asset quality. Asset managers were allocated 71%, hedge funds 13%, banks and private banks 8%, and insurance companies 8%. The UK and Ireland took 38%, Portugal 26%, Spain and Italy 13%, France 8%, Switzerland 5%, Germany 3%, and the Benelux and elsewhere 7%. CGD noted that the recapitalisation plan has resulted in the strengthening of its capital base by a total of EUR4.944bn following the Tier 2 issue. In the wake of CGD’s success, Novo Banco announced it would hold investor meetings ahead of raising EUR400m of 10 year non-call five Tier 2, in conjunction with tender and exchange offers for outstanding senior bonds. The announcement came against the backdrop of ongoing investor legal action relating to certain senior bonds of the former Banco Espírito Santo having been reallocated from Novo Banco to the BES bad bank. EUR909m of bonds were offered for exchange into EUR258.8m of the new notes, with the remaining EUR141.2m allocated to new money on the back of some EUR300m of demand. The Caa3 rated paper was priced at 8.5%, in line with initial guidance.